Barry Brecheisen, Invision/AP, FileFILE – In this July 4, 2015 file photo, Mick Jagger of the Rolling Stones performs at the Indianapolis Motor Speedway in Indianapolis, Ind.. The Rolling Stones’ much-anticipated North American tour — which would have brought the band to Denver for the first time in 14 years this May — was postponed Saturday morning as the group revealed frontman Mick Jagger requires medical treatment for an undisclosed condition. The 17-date “No Filter” tour of stadiums from the U.S. and Canada, which had included a May 26 stop at Broncos Stadium at Mile High, will be rescheduled. Fans are encouraged to hold on to their tickets because they will be valid for the dates, “that will be announced shortly. ” The tour was scheduled to start April 20 in Miami. 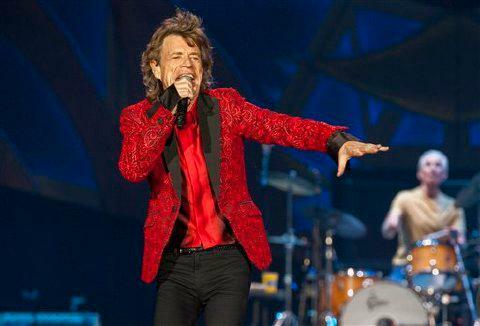 Are the Rolling Stones coming to Denver’s Mile High Stadium? Signal (s) point to yes. The Stones’ May concert was to have been the band’s first performance in Colorado since playing the Pepsi Center on Thanksgiving night in 2005. And it was the band’s first stadium concert in Denver since the “Voodoo Lounge” tour rolled into the old Mile High Stadium on Sept. 15, 1994. The Stones also played Denver in 1999 and 2003, but those were stadium dates. This entry was posted in News from around Denver and Colorado and tagged concerts, denver, entertainment, latest news, music, pepsi center, rolling stones. Bookmark the permalink.